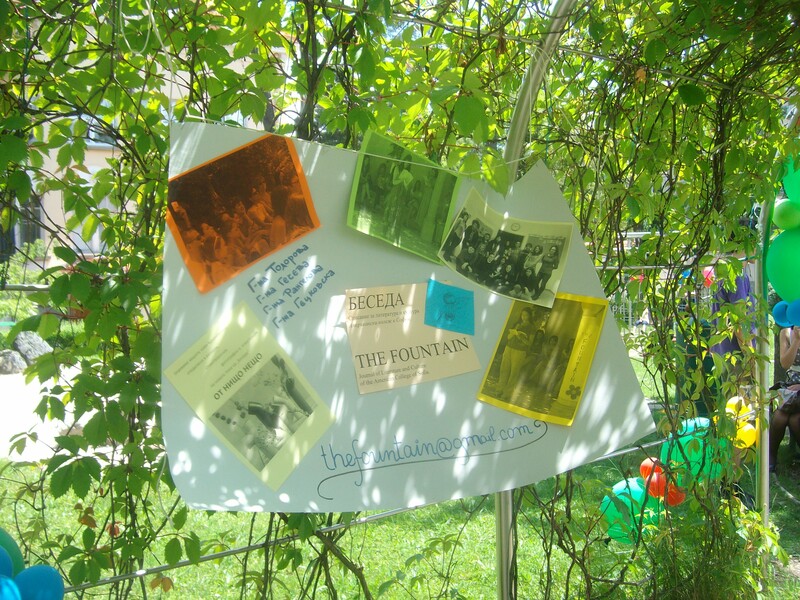 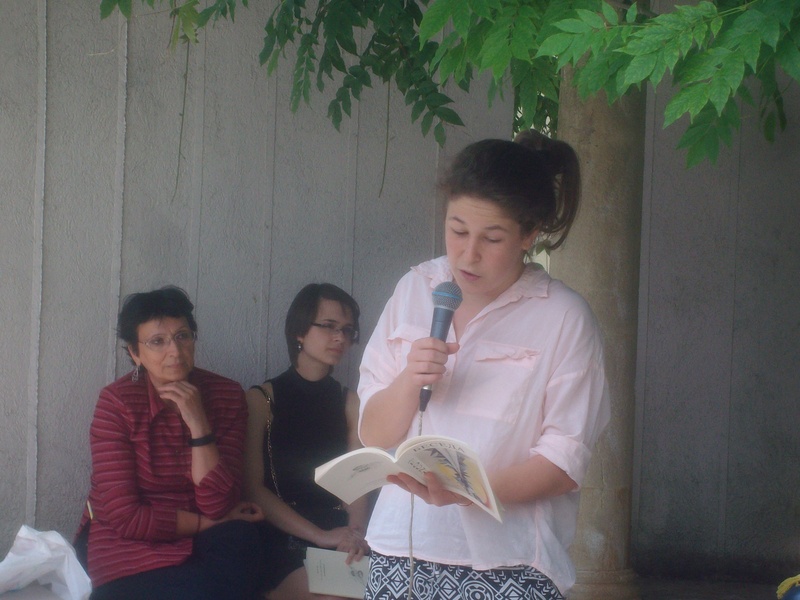 Here are some precious moments from the traditional Literary Reading, organized by The Fountain. 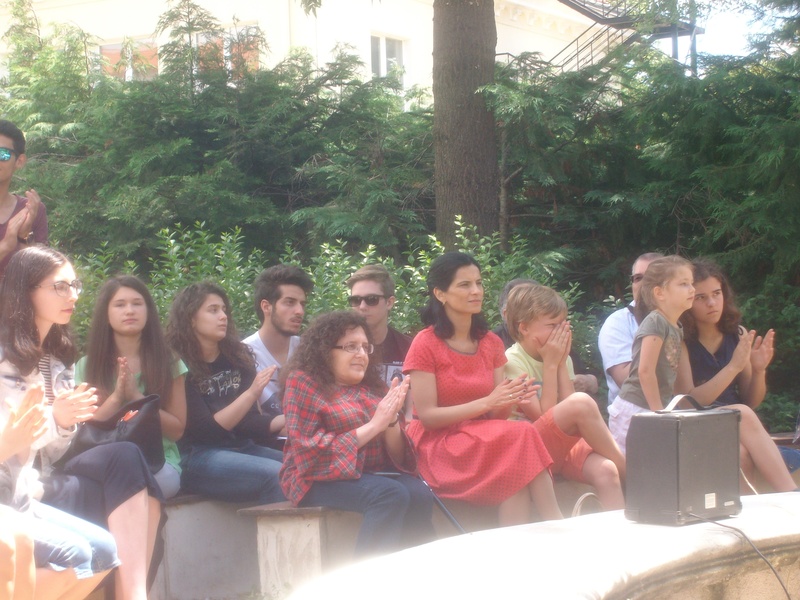 Dear authors, artists and fans of our journal, we would like to thank you for the wonderful literary feast on Saturday! 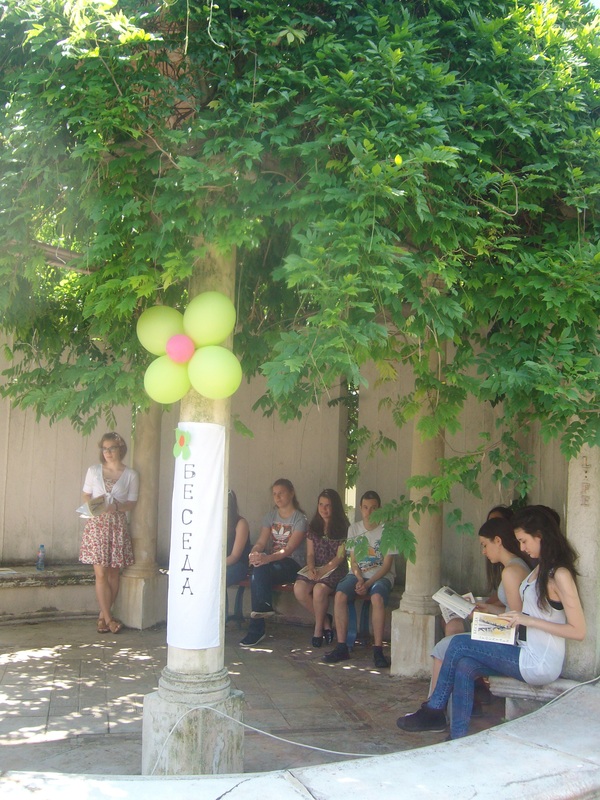 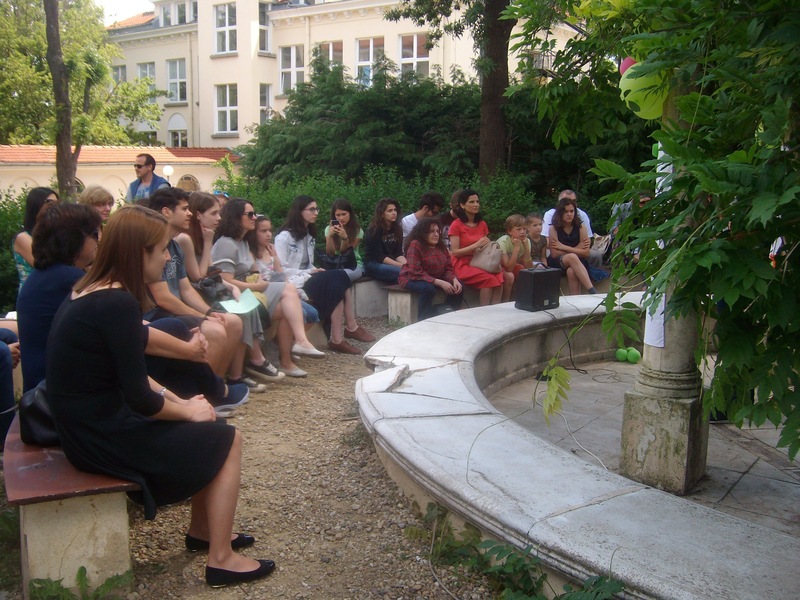 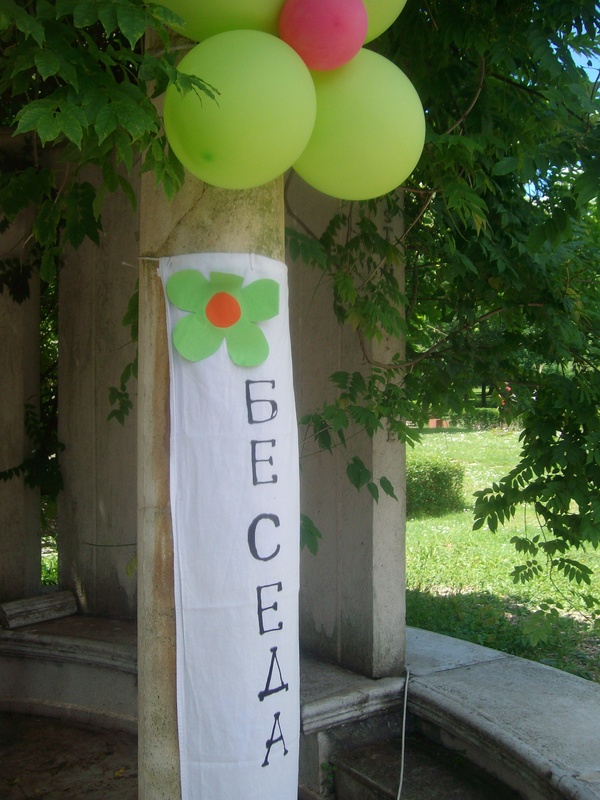 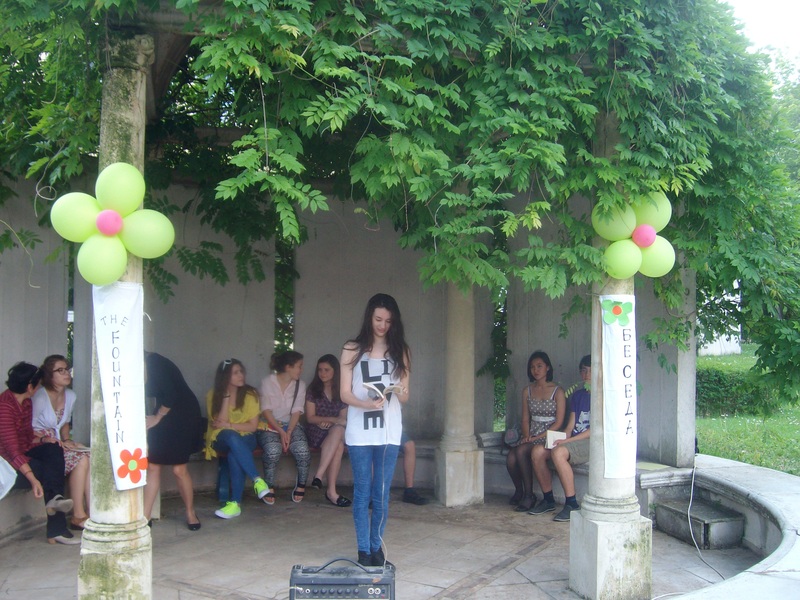 The reading was held at its traditional place – Dafina Garden. 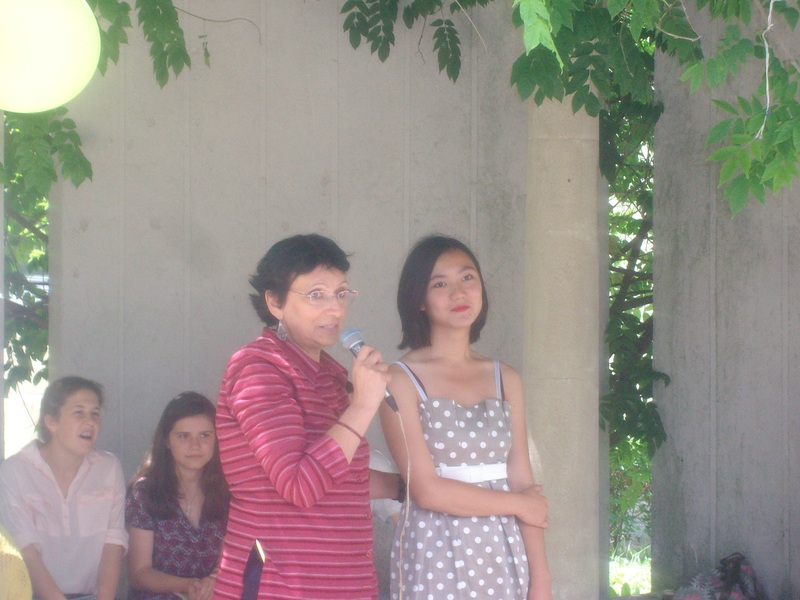 The opening words by Ms Roumyana Rangelova, BLL Department chair, advisor of The Fountain Journal and the Creative Writing Elective. 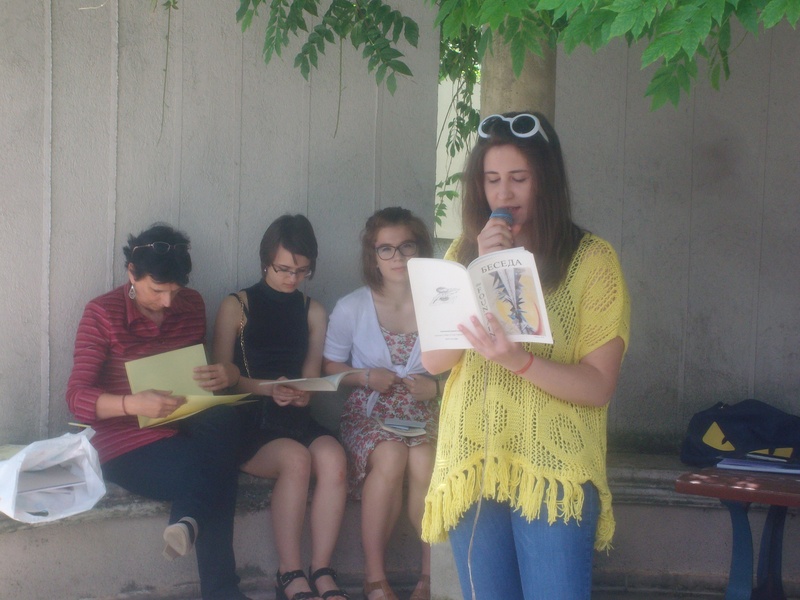 Ms Roumyana Rangelova presented Mailyn Lazarova – one of the new discoveries of our Journal. 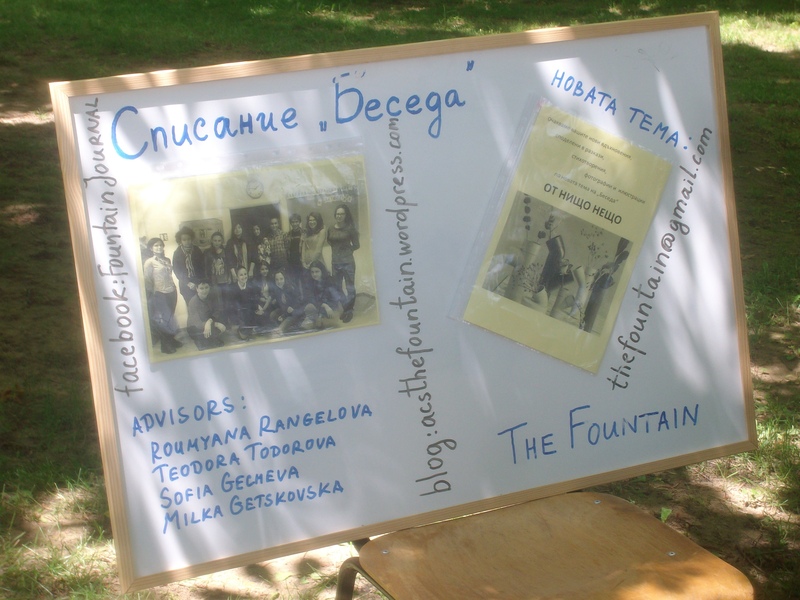 Mariya-Nikol Stoykova – President of the Fountain Club, and some of the authors of the Fountain. 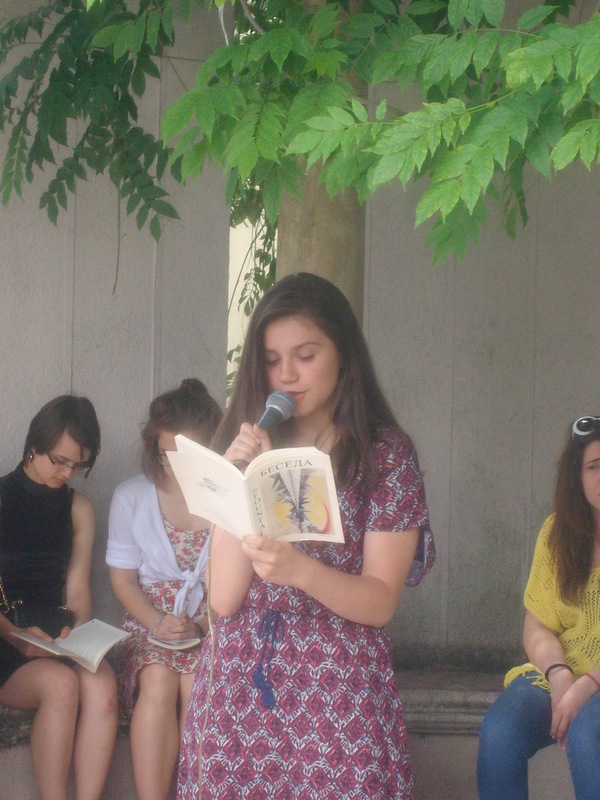 Nevena Stoyanova, one of the very talanted authors of the Fountain. 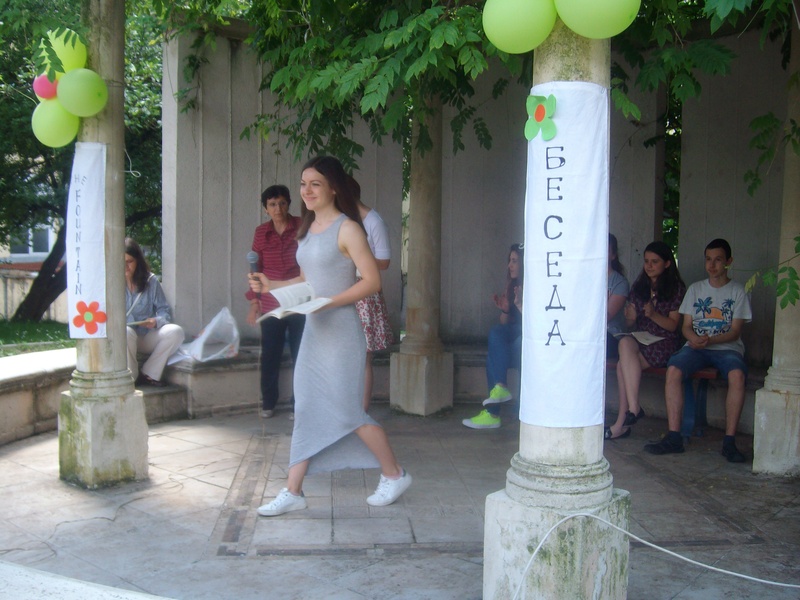 Venezia Georgieva – the Winner in the Annual Translation Competition and designer of the cover of the new issue. 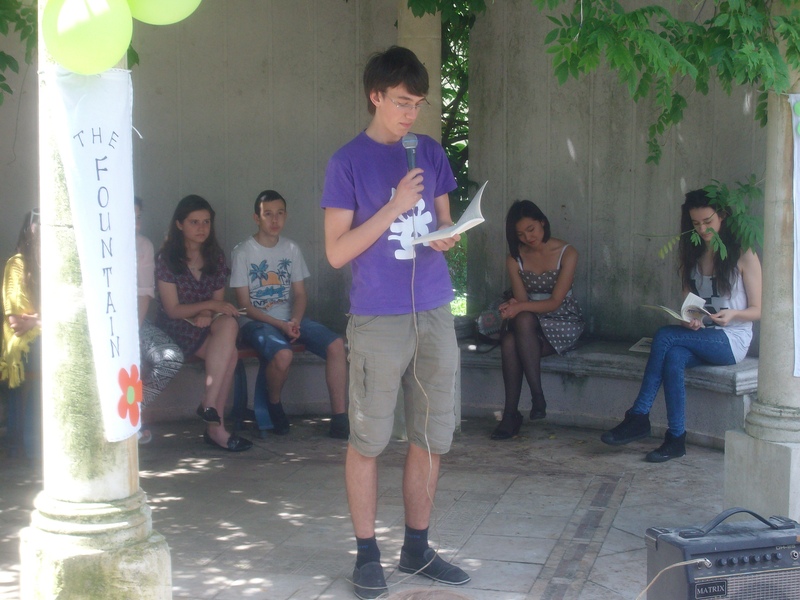 David Davidov – Second Place in the Annual Translation Competition. 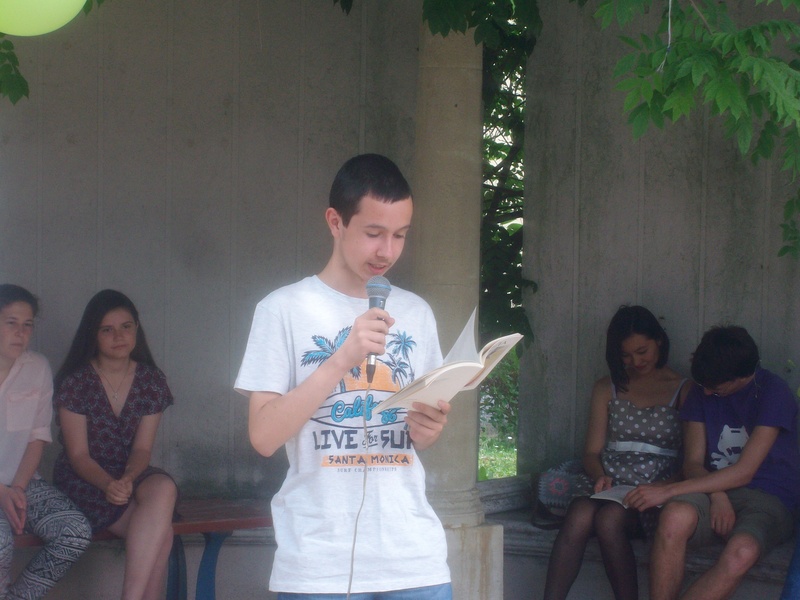 Jordan Georgiev – one of the new discoveries of the Fountain, reading his short story “Портфейлът”. 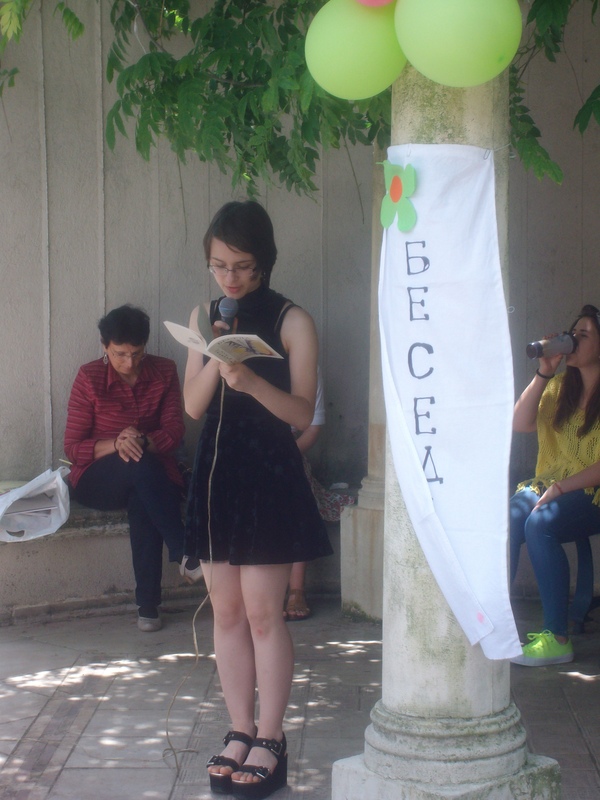 Aleks Zidarova and her artistic performance of “Недостатъчно”.